All the apps & games here are for home or personal use only. If any apk download infringes your copyright, please contact us. 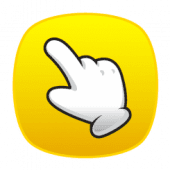 Touchshot (Screenshot) is the property and trademark from the developer lyouson. Captures the screen by touch. You do not need a hard key to capture the screen shot. If the light filter apps is enabled, you may not be able to capture.